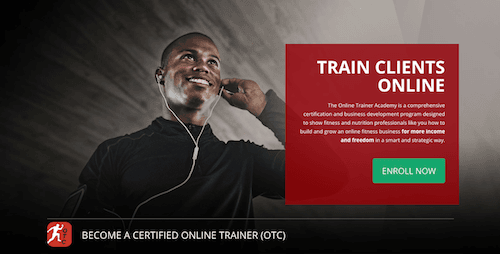 Online Trainer Academy Review - Freedom for Trainers? Everyone's got a program for creating "freedom" as a coach or a trainer these days. Live anywhere, do nothing, live the easy life. What they don't want you to know is that it takes work, time and a plan, to get there. Enter the Online Trainer Academy. I've taken a lot of online courses over the years, heck, I've even helped build content for other people's courses, but.. 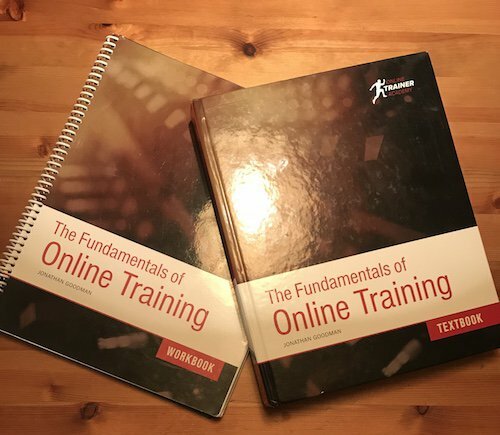 The Online Trainer Academy is different from other online courses in that most courses give you a little bit of the information and then make you swim for the next bite and probably pay extra for each extra bite you get. Not so with the OTA. It's all in. Jon Goodman has broken down all the practical stuff you need to have to effectively train clients online. He's created unique templates and resources, acquired discounts for services and thought of things you wouldn't know you needed. The OTA goes uniquely deeper into things like marketing to help you discover who are you and how you stand out from everyone else out there. There's a big section focused on finding the unique you. It's not just feel good, there's power in knowing what to do with that. There are even mini tutorials for the software you might need to streamline things if you want to. It's all in there and it doesn't cost a dime more. You should know, I'm a graduate of the Online Trainer Academy. I've seen the inside of the program, I took my test, rooted around in the extra resources, yep, I'm fully OTA certified and the only regret I have is that I let too many other things get in the way of finishing the course sooner and getting all my own ducks in a row faster. Can't you find most of this stuff online somewhere for free? Sure. If you have hundreds of hours and a few years to waste trying to find it all, string it together and hope it works. I tried for a while. But who wants to do that? Jon's done the heavy lifting of figuring out how to make it work, vetted the systems, built the step by step instructions. I have no desire to reinvent the wheel, I'll pay for the expertise and support, thank you very much. What's inside the Online Trainer Academy? The OTA Certification course is delivered in three parts. 1) Big fat textbook with 40 chapters covering everything from Getting Started, Structuring Business, Taking Care of Clients, How to GET Clients and more. Full Table of Contents. 2) A workbook to take what you learned in the text and pull it down to your own practice. No fill in the blank, you'll walk away with content that's all about you. 3) Online Portal with videos that flesh out topics and challenge you to go further. Here you'll find extra downloads, templates, software, resources, marketing scripts and other goodies and upgrades they keep adding. They're very determined to keep the OTA at the top of the game. Online courses usually blow it in customer support. Not here. Jon and the OTA team are really responsive, whether it's website technical support or questions about the curriculum, they're easy to reach and now there's even a team of coaches to help you apply everything inside the OTA. Sounds Pretty Rosy, So Do I Recommend It? 1) the OTA is one of the best online courses I've ever taken, you can complete it from anywhere, it's full of practical info you can actually use and it applies to other fields besides just training. 2) It's delivering on the promise to make me more mobile and coach clients from anywhere. 3) My coaching business has a future I can see and I have more freedom of time than I've had before. You don't have to just take my word for it though, here's what other people are saying. YES, if you're ready to bust through the barriers of location to work with clients, do not wait, jump in to the Online Trainer Academy before the next enrollment closes on Sept 11th. If you are brand new to training....then now may not be the time to jump into the OTA. You could if you are sure you want to take your work online, you'd just have to really hustle and pay attention to all the sections of exercise programming as well as gain as much 1 on 1 client experience as you can to anticipate client needs. If you're not ready yet, start by getting the ebooks and resources Jon's created for trainers, get on his mailing list and eat up the info until you're ready. Or, if you think this is going to be a get rich quick scheme, or you aren't willing to do any work, then you should ride on down the road, here. The OTA is a legit certification in the practicals of how to manage and support your online coaching clients and how to build that business. It's not a gimmick. They break everything down into manageable steps but you are going to have to put in some work to make it work. Then it starts to get easier. Is It The Missing Link to Success? If you have experience training clients and you want to get your work out to the world, then yes, it just might be your missing link. I recommend you jump on through, check out what the OTA has to offer and do it fast, because the next course enrollment closes Sept 11, Midnight. You can have all the knowledge and experience in the world but if you don't know how to deliver it to the client it's useless. The OTA delivers in how to take care of clients online, how to market and build your business and how to grow relationships for lasting business. No one can guarantee you success. You are the spark that makes the difference there. For me, the OTA is a game changer. If you'd prefer to hear me talk about the OTA, you can do that here.